I’m busy and I know it, I should clap my hands or something right? I can judge how busy I am by how many nights dinner is cooking or warming in the crock pot when we get home. This week it’s four, four nights out before dinner needs to be ready, 2 spent in ski group, one spent in a training session and tomorrow I clean at school while my 10 year old has chess club. I don’t mind crock pot cooking as long as I have a few of my favorites ready to go and I have a little leeway to change those up a bit. That’s the fun part about cooking for me, looking at a recipe and thinking well what if I did _________? Sometimes it’s awesome or sometimes I get the blank face, the please don’t ever do that again face or the ultimate betrayal “I like it I just don’t want any right now.” Which is funny because when I was little that’s exactly what I told my mom when I didn’t want to hurt her feelings. Heads up kids, that still hurts but I’ll smile because at least you’re trying to be kind. 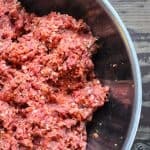 I wanted to make a gluten free and or grain free crock pot meatloaf to see how it would hold together. I know one of the jobs of the bread crumbs was to help bind it together so I wondered how it would react if I didn’t use them, replaced them and cooked the he!! out of it. Results? 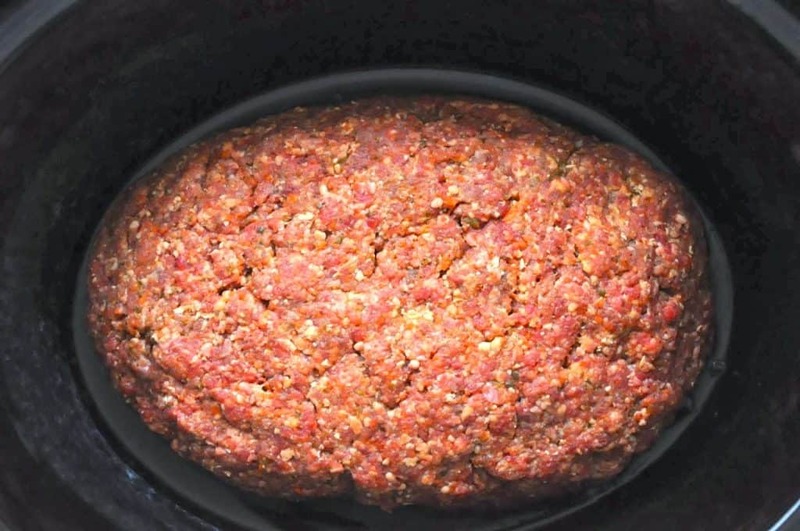 Tender delicious meatloaf out of the crock pot using ground oats for the gluten free version. You can substitute in ground pork rinds if you need a Paleo or Grain Free version, also fantastic tasting. Make this a meal by chopping 2 sweet potatoes and two regular potatoes, unpeeled, and placing them around the outside of the meat loaf. They will cook through and be done when the meatloaf is done. I love it when I have to only make a salad or a green veggie and dinner is ready. You’ll notice I made mine into one BIG meatloaf , you can do that too and add maybe an hour to the total cook time. I needed to feed three boys and two adults with enough leftovers for lunch the next day. This did the trick! I've always loved meatloaf with oats (and its the egg that binds not the bread), but I never thought of grinding up the oatmeal, I'll have to try that!! I love ALL kinds of meatloaf.